Australian Jake Parsons had a difficult time at the 4 hours of Sepang this weekend but with his typically strong mental attitude is still taking away a lot of positives from the event. The young driver joined Jackie Chan DC Racing for the Asian Le Mans series finale, but sadly the #38 car was hit by frustrating technical issues. “The weekend was quite a challenging one to be honest. We spent a lot of time during practice and qualifying chasing some set-up issues, that we later found out were due to a failing component in the rear left. It eventually broke during the race, meaning we had to pit for a long time to change the damper. That, along with a penalty for an engine change, set us back several laps, so, it was a rather unfortunate weekend really. We and the team all did all we could, it was just one of those occasions where an unforeseen anomaly bit us, preventing us from achieving our true potential,” explained Parsons afterwards. The Tokyo based racer, who won the 2018 Japanese F3 Championship, still thoroughly enjoyed working with the Jackie Chan DC Racing team, along with his teammates for the event, James Winslow and Rick Yoon. The Hermann Tilke designed 15 turn, 5.543km/3.445mi Sepang circuit is a big favourite with Parsons, being the stage for many of his major career milestones over the years. And, despite the technical issues throughout the event, he was still able to take away some positive highlights from the season finale race. Parsons would like to thank Jackie Chan DC Racing for the opportunity to race at Sepang this weekend. Australian star Jake Parsons returns to action on one of his most successful circuits this weekend, joining the Jackie Chan DC Racing team for the Asian Le Mans finale at Sepang, Malaysia. “It’s always exciting to go back to Sepang as it’s played a very significant role in my career, with many of my milestones happening there. Winning my debut International series, AsiaCup, having my debut in Formula Masters, with a pole position and victory, and also my first prototype drive was there too. It has such a strong, positive feel for me, so I’m thrilled to be going there with a team like Jackie Chan DC Racing, as they’ve been a great outfit for many years. I’ve always been very impressed watching them throughout the season and, obviously, how they run at Le Mans 24 hours too. It’s my first time working with the team, but I think we’ll make a strong combination,” explained the 2018 Japanese F3 Champion. Having sat out the last two rounds of the series, the JCDC Racing team return to the ultra-competitive ALM’s series with a completely new line-up for the 4 Hours of Sepang finale. Parsons reunites with experienced racer James Winslow, with whom he’s enjoyed several endurance class victories over the last year, while South Korean Rick Yoon completes the trio. As mentioned above, the 15 turn, 5.543km/3.445mi Hermann Tilke designed Sepang circuit is one of the young Australian driver’s favourite tracks. One he’s particularly looking forward to taking on for the first time in the LMP3 class cars this weekend. Parsons has taken on several last-minute drives for different teams in the past few years and credits his now trademark mental training for helping him adapt to those situations in such impressive and professional style. As he heads to Sepang, Tokyo based Parsons is keen to continue building his experience and success in the LMP3 endurance events, with a clear view of what he wants from the weekend. Australian star Jake Parsons is taking away many positives from an impressive team run at the Bathurst 12-Hours that was marred by unfortunate car issues early in the race. “The weekend had a lot of ups and downs in it, but mostly ups. We were super-fast in practice, we qualified on pole position, and during the race we had the highest average pace of all the GT4 cars. Personally, I also felt really comfortable on the circuit, and I was able to be quickest on track for my run too. It’s just unfortunate that we had an issue in the opening laps, before I got in the car, that caused some damage and really set us back, taking away our chance of winning. But we made the most of it and still had a good race. So, there are a lot of positives there” explained the Japanese F3 champion. Driving for M-Motorsport with an all-star line-up of James Winslow, Mathias Beche and Dean Koutsoumidis, Parsons had only praise for the ‘never give up’ attitude of his team. 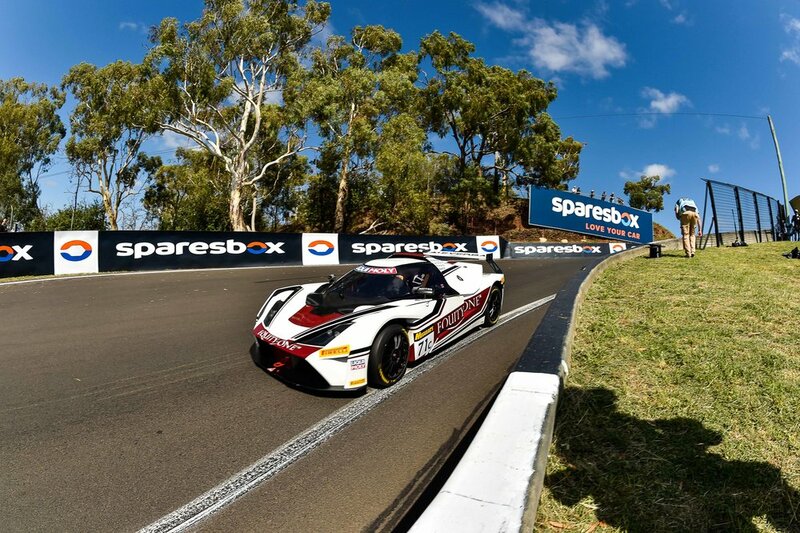 Parsons thoroughly enjoyed driving the Equity One KTM X-Bow around the Mount Panorama track, having some good, strong battles with the third-place finishing Ginetta car. The Tokyo based Australian also had a blast being back on home turf, racing at the Mount Panorama circuit, where he still holds the Formula Ford lap record. Parsons would like to thank everyone involved in the M-Motorsport Equity One KTM X-Bow entry for the opportunity to drive at the Bathurst 12-Hour this weekend. Both reigning Japanese F3 champion, and 2018 LMP3 race winner, Jake Parsons and Le Mans 24-hour winner James Winslow are thrilled to be part of an impressive line-up on their return to Mount Panorama for the prestigious Liqui-Moly Bathurst 12-Hour this weekend. 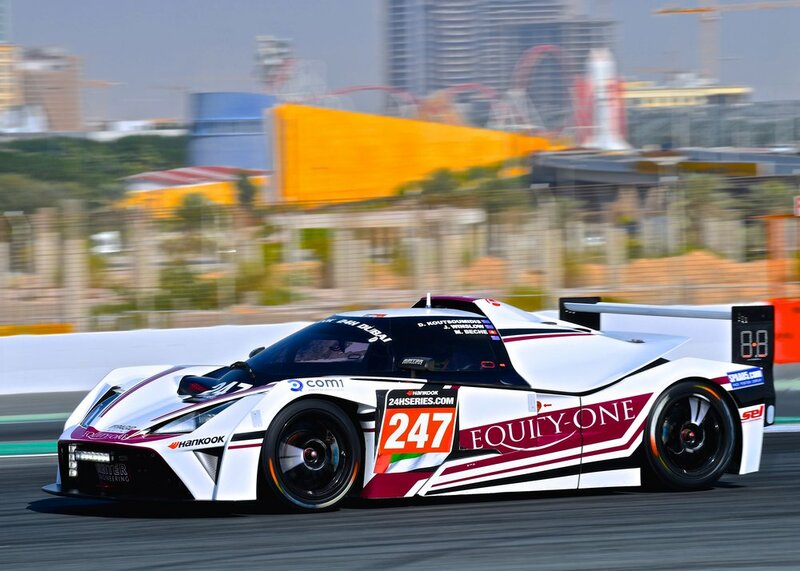 Joining three car team M-Motorsport, the pair will run the Equity One KTM X-Bow GT4 alongside LMP2/LMP3 race winner and former Australian GT champion Dean Koutsoumidis. While Swiss racer, Mathias Beche, another Le Mans 24-hour winner and 2018 WEC LMP1 race winner, completes the strong and experienced #71 car line-up. “I’d like to say a big thank you to Dean for providing this opportunity. It’s so good to be returning to Bathurst again. It’s one of those tracks that just has a kind of special aura and atmosphere when you arrive,” said Parsons. Tokyo based Parsons is looking forward to again pairing with Winslow, with whom he enjoyed an impressive debut endurance race victory and several podiums last year. Team boss Koutsoumidis, who finished fourth in the 2015 Bathurst 12 Hour with Winslow, is also excited to be returning to the mountain with such a strong team of drivers. Parsons certainly can’t wait to put the Equity One KTM X-Bow through its paces on one of his favourite circuits, where he still holds the Formula Ford lap record. Being such a unique, mountainous circuit can create its own unique challenges of course, especially during endurance style events where the field become stretched out. “You never quite know what’s going to be round each blind bend, and that’s a real danger here. So, it’s good going into the weekend knowing they’re running a new system in the cars to warn us if there’s a car stopped up on the tight, twisting mountain sections,” added Parsons. It’s clear that no such warning system is required when it comes to the M-Motorsport ‘all-star’ line-up’s intentions of gunning for victory on the Mountain this weekend. The Liqui-Moly Bathurst 12-Hour take place at Mount Panorama on 1-3 February. You can watch the race live, free to air, on Channel Seven, and free via live streaming. Check local listings, www.radiolemans.com and https://www.bathurst12hour.com.au/streams-tv/ for more information. Australian rising star, Jake Parsons, had a strong start to the 2018 season with a podium finish on his Asian Le Mans debut at Sepang this weekend. The talented 23-year-old joined experienced team-mates Marco Asmer and Nabil Jeffri, to steer the #33 Eurasia car to third position on the former Malaysian Grand Prix circuit. Hard-charging Parsons had to overcome a challenging stint in the Ligier Nissan, with his drinks bottle breaking, leading to severe dehydration in the 55 degrees plus heat. Although he missed the podium celebrations, he is recovering well and thrilled with his first experience of the prestigious endurance series. “It was a great weekend right from the result to gaining experience. We got pole position and a podium, and also led the race. It’s been very positive for me to drive an LMP2 car, which is a new level of performance, and I’m pleased I got up to speed and refined the technique so quickly. I think that will help for the future, across different series, so I have lots of positives to take away from this weekend,” he explained. Parsons felt that his experience of formula cars, combined with completing his first season in SuperGT last year, helped him adjust quickly to the new style of cars and driving technique in the ALMS series. 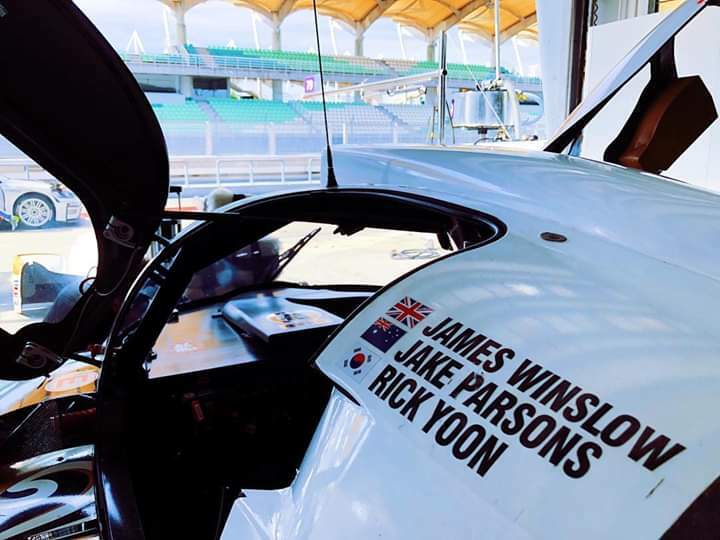 Australian rising star, Jake Parsons will make his debut in the prestigious Asian Le Mans series from pole position tomorrow. 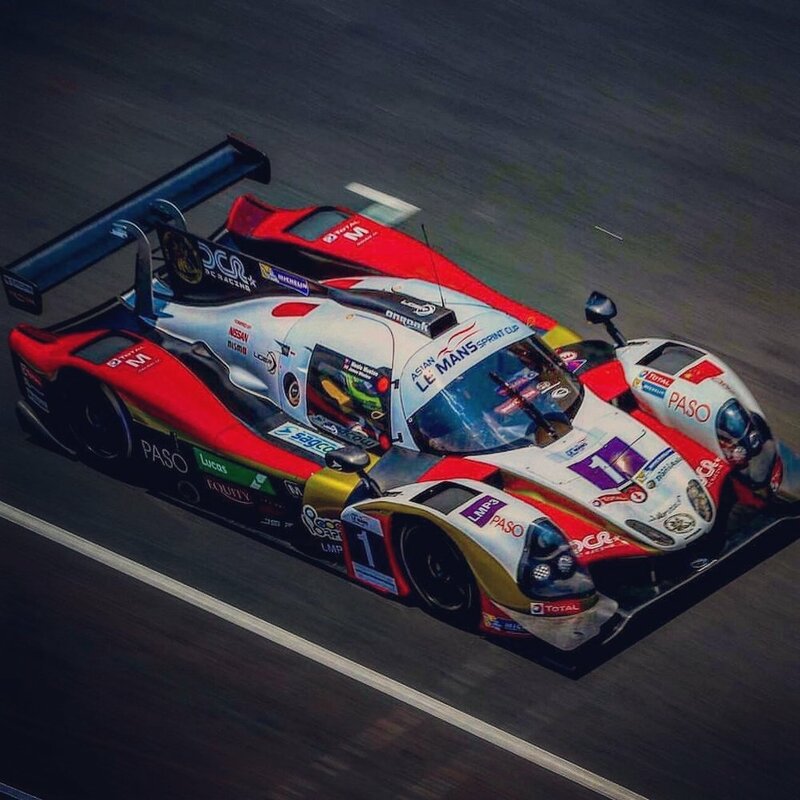 The 23-year-old took up a late call to drive the #33 Eurasia LMP2 class car at Sepang for the season finale. He joins team-mates Marko Asmer and Nabil Jeffri in the Ligier Nissan for the four-hour endurance race. “We’re absolutely thrilled to be starting the race on pole tomorrow. We have a really strong team and I think we’ve got a great shot for tomorrow’s race,” explained the talented Tokyo-based driver. Parsons, who competed in his first season of SuperGT last year, has constantly shown his driving ability and mental strength, adapting quickly to new tracks and cars. He’s now keen to test himself in the competitive endurance series on a track he knows and enjoys immensely, having previously won twice on the grand prix circuit in formula races. Eurasia team principal Mark Goddard is thrilled with his team' performance so far, "We are looking forward to the race. Jake, Nabil and Marko have the pace to give us a great result but our setup with Ligier is working well." Round four of the Asian Le Mans series takes place at Sepang, Malaysia on 4th February. SuperGT rookie, Jake Parsons, once again showed his impressive pace, skill and maturity in the final round of the ultra-competitive Japanese series at Twin Ring Motegi on Sunday. “This was definitely one of our strongest weekends of the year,” explained the young Australian. On his first visit to the 14 turn, 4.8 km/2.983m circuit, Parsons overcame an unfortunate early drive through penalty, that dropped him back to 30th, to deliver a strong, mature drive back through the field. Showing typical tenacity, speed and race craft, the 22-year-old made up nine positions in his 23-lap opening stint of the race, before handing over to his teammate who brought the Taisan SARD Audi R8 home in 14th place. That development as a driver was on full display with Parsons’ feedback helping the team make an informed decision about tyre strategy. Choosing to change only the rear tyres, the team made up valuable time in the pit stop, greatly aiding the #26 car’s fight back. “I’ve loved being part of the SuperGT series. We always race on such great, interesting circuits, the cars are all excellent quality and the professionalism of the events is awesome. Japan is an amazing place to race too, offering such variety of climates, arriving at tracks to anything from baking heat to deep snow!" To continue the close connection with his global fanbase, Parsons has also launched a Japanese version of his English based website, with JP merchandise available across both platforms. Stay posted on the website for all the latest updates on new merchandise ranges for next season. Jake Parsons would like to thank everyone in the Taisan SARD team for their hard work and persistence this year, with special thanks to both Hideki Noda and Ricky Chiba. As SuperGT reaches its climax, with round eight at Twin Ring Motegi this weekend, Australian driver Jake Parsons is keen to end his rookie season in the ultra-competitive Japanese series on a high. The 22-year-old has shown strong pace, race skills and mental maturity throughout what has been a huge learning curve year, making the move from open-wheel formula cars to GT. “I’ve been really happy with the progress and development I’ve made as a driver this season. Adapting to a new series and a totally different style of car has been a fascinating challenge, one I’ve relished and enjoyed massively. I’ve learned such a lot and I’m incredibly excited to keep moving forward now,” explained the Melbourne born racer. Although Parsons has only had a half day test at Motegi, he’s particularly looking forward to racing on the 2.98mile (4.8km) 14 turn circuit near Tochigi. Parsons, and his Taisan SARD team, go into the last race of the SuperGT season on a high, having won the Japanese Electric Vehicle Festival at Tsukuba circuit in a fully battery converted Porsche 916. The young Australian is particularly interested in the electric motorsport industry, so took immense pleasure in the opportunity to compete and be victorious in the event. Heading towards Motegi this weekend, Parsons is now focused on finishing his opening season in the championship with a good result, and looking forward to taking another big step forward in his career in 2018. “I’m really excited to build on all I’ve learned this year,” added the young Australian. Round eight of the Autobacs SuperGT series takes place at Twin Ring Motegi on 11-12 November. Australian driver Jake Parsons once again proved his skills racing in challenging, changing conditions, as SuperGT travelled to Buriram, Thailand for the penultimate round of the season. “I’m really happy with how quickly I learned this new circuit and especially with my performance, as we had to deal with a lot of mixed conditions out there. Unfortunately, we had a fuel problem during the race which led to an extra pit-stop, but overall I’m pleased with the positives we’re taking away from Buriram,” explained Parsons. The 22-year-old showed strong pace during the dry practice sessions in the #26 Taisan SARD Audi R8 V10. Teammate Shinnosuke Yamada qualified the GT300 class car in 18th position, with Parsons taking the first stint in the race. Sitting on the grid, with 30 minutes before the green light, heavy rain began to fall, leaving teams with the dilemma over tyre choice. Heading into the final round of the 2017 season, Parsons feels happy and confident with how his technical knowledge, and ability to give feedback, on the GT car has improved throughout his rookie year in the series. “Looking forward to next year, I feel like I’ve learned so much and I’m positive that fighting for championships in 2018 is very doable,” added the Melbourne- born racer. As SuperGT heads into its closing stages, Australian driver Jake Parsons is keen to finish his rookie season with Team Taisan SARD on a high. The ultra-competitive Japanese series heads to Chang International Circuit, in Buriram, Thailand this weekend for round seven. Although the 2014 AsiaCup champion hasn’t been to Buriram before, he has had some good fortune in being able to run it via a new cutting edge virtual reality simulator, recently launched only minutes from his home in Japan’s capital city. Parsons had a strong showing in the previous round, at the iconic Suzuka 1000km, comfortably matching the pace of his ex-Formula 1 driver team-mate for the event, Christian Klien, and producing the fastest time of the three Taisan SARD drivers during the race. Off the track, Parsons has been enjoying sponsor events with his Taisan SARD team. The GT300 driver took on the Team SARD GT500 driver Kohei Hirate in a demonstration and drag race at the opening of a Heli Park in Fukushima last week. The pair put on a close and entertaining battle for the crowds, alongside the Red Bull Air Race. Round seven of the SuperGT Championship takes place at Chang International Circuit, Buriram on 7-8 October. Australian rising star, Jake Parsons, is taking major positives away from his first Super GT Suzuka 1000km event, despite the #26 Taisan SARD Audi R8 suffering race ending tyre trouble. “It’s really unfortunate for the team that we had tyre problems beyond our control. I was very excited to be part of such a historic, flagship race for the series and for me personally, it was a great weekend of development and experience. I was able to really dial into this fantastic and challenging track, where I was able to set the fastest lap for our team during the race; which is a great take away for the future.” said the 22-year-old afterwards. The 2014 AsiaCup champion again showed strong pace during practice, gaining vital experience in both the wet and dry conditions. The initial pace dropped away during qualifying, with ex-Formula 1 driver Christian Klien putting the V10 GT300 car 24th on the grid. However, the team used the acquired data in their race set-up, enabling teammates Parsons, Klien and Shinnosuke Yamada to set competitive times, and enjoy intense on-track battles. Unfortunately, the Taisan SARD teammates also shared recurring severe tyre problems whilst on track, that would ultimately end the team’s challenge. During his stint in the Audi R8, Parsons suffered an unsettling tyre blow out coming on to the back straight. “We’re pretty fortunate it didn’t happen at the end of the straight, as that’s the fastest corner on the circuit. When we came back into the pits, the team assessed the car and sadly we had to retire as it wasn’t safe to continue.” added the Melbourne born racer. Although he was unable to complete the Suzuka 1000km race, which becomes a 12-hour format next year, Parsons believes his experience here, and previously at the Bathurst 12-hour, have given him the confidence to approach more endurance races in the future. Heading into the final two races of the 2017 season, Parsons is looking forward to continuing his progress and development with the team striving to achieve their strongest results yet. Parsons is keen to thank his temporary teammate, Christian Klien, for his invaluable input and feedback at the Suzuka 1000km, helping the team move forward. Along with a big shout out to his Taisan SARD team for their hard work throughout the weekend. 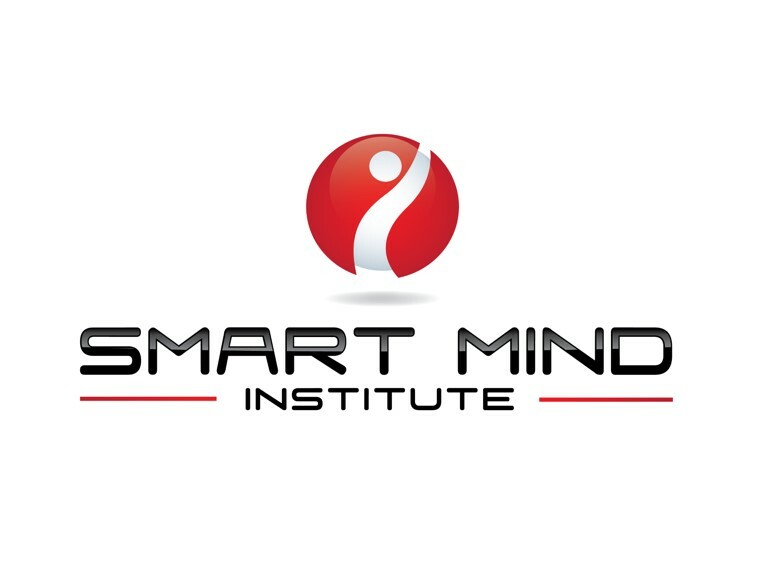 He’d also like to thank Smart Mind Institute for the support and help in preparation for the race, BOSS.media for help with branding strategy and the whole team behind the scenes, for working tirelessly to help drive his future. Round Seven of the Autobacs Super GT series takes place at Chang International Circuit, Buriram, on 7-8 October. As the Autobacs Super GT series reaches its showcase event, the internationally renowned Suzuka 1000km, talented Australian driver Jake Parsons is prepared for and relishing the challenges ahead. “I’m really looking forward to experiencing my first Suzuka 1000km. It’s such a prestigious event, attracting drivers from around the world, including Jenson Button. It’s going to be an amazing feeling, lining up on the grid alongside the 2009 Formula 1 champion.’ explained the 22-year-old. At twice the length of the longest race so far this season, round six of the ultra-competitive Japanese series will present unique challenges to the teams and drivers. Due to the increased race distance, Parsons, and his teammate Shinnosuke Yamada, will be joined in the #26 Taisan SARD GT300 Audi R8 by another former F1 driver, Christian Klien, for the weekend. “I think team strategy is going to be crucial here, with so much more to co-ordinate, especially as we have to make a minimum of five pitstops during the race. Our tyre choice, race strategies and driver changes will be important to get right, but we’re all preparing and working hard together to get the best result.” added the 2014 AsiaCup champion. Round six of the Autobacs Super GT, the Suzuka 1000km, takes place on 26-27 August at Suzuka International Circuit. You can follow all the action live on NISMO TV via You Tube. Australian rising-star Jake Parsons had another positive weekend of progress in the Autobacs Super GT championship, despite an unfortunate penalty interfering with his race. As round five of the ultra-competitive Japanese series returned to Fuji International Speedway for a second time this season, the 22-year-old was keen to utilise his previous experience at the challenging 16-turn, 4.653km/2.835m circuit. “It was nice for me to be at a familiar track that I enjoy so much! Fuji is one of the faster circuits we race on, with sweeping corners you can really attack. It’s very satisfying track to drive and has a lot of unique challenges too. Being our second time here meant that we could bring forward our data and continue developing the car on the positive trajectory we’ve had,” explained the Melbourne born racer. Parsons has been working particularly hard with the Taisan SARD team to develop the set-up of the car, and the improvements certainly showed with a strong pace throughout practice and into qualifying. Reaching the second round of qualifying for the first time this season, the young Aussie placed the Audi R8 V10 13th on the grid, their highest position of the year. Although Fuji faced a typhoon warning, with the 300km event starting under heavy, menacing clouds, the entirety of the race remained dry. Parsons, who won the 2014 AsiaCup Championship, took the opening stint, getting a strong get away, battling with the top ten in the early stages. Unfortunately, a drive through penalty for a start infringement dropped the #26 GT300 car to the back of the field. Returning to the track, Parsons dug deep, showing impressive pace, race craft and mental strength to begin moving back up the order, with teammate Shinnosuke Yamada bringing the car home in 19th position. Although disappointed at not being able to capitalise on their strong qualifying, the Australian racer sees Fuji as another weekend of strong progress. Super GT now moves onto the most anticipated event on the calendar, the Suzuka 1000km. With the event only three weeks away, Parsons is understandably excited for the challenges this unique race will bring. “It’s going to be a very significant race, being the longest of the season. We have a third driver joining us too, Christian Klein, so it will be great to work with and learn from him. We haven’t had much time at Suzuka, so we’ll be working hard on our preparations. However, we're all looking forward to utilising our positive experiences at Fuji this weekend to drive our performance even further at Suzuka." Round six of the Autobacs Super GT Series takes place at Suzuka on 26-27 August. After an impressive performance in the tricky conditions at Sugo, Australian Jake Parsons is looking forward to chasing his best result of the season, as the Autobacs Super GT returns to Fuji International Speedway this weekend. “We’ve made a lot of progress together in testing and during race events. Our dry pace, in particular, has improved recently, so I’m really keen to get our best result of the season so far at Fuji this weekend,” added the 2014 AsiaCup champion. Parsons, who now lives in Japan, is really settling in to the country’s premier motorsports category, and thoroughly enjoying how challenges it brings are helping take his career to the next level. Round five of the Autobacs Super GT series takes place at Fuji on 5-6 August. You can follow all the action live via the NISMO TV You Tube channel. Australian rising-star Jake Parsons overcame challenging conditions to take away positive, valuable experience at Sportsland Sugo today, in an eventful round four of the Autobacs Super GT series. The #26 Taisan SARD Audi R8 V10 driver ran a strong pace during practice, but bad weather created difficulties in qualifying. Following a wet start to the 81-lap race, Parsons took over from teammate Shinnosuke Yamada in 25th place, impressively handling the tricky, constantly changing track conditions to make up several positions in the GT 300 class. “I had a very eventful stint in the car, with the changeable weather conditions and a lot of lapped traffic. There was a lot of action with the different strategies out there. I’m really happy with how I handled the change to slick tires and moved through the field”, explained the 22-year-old, after surviving a treacherous last lap rain shower to finish in 18th. The 2014 AsiaCup champion enjoyed racing on the short 3.737km (2.323 mile) Sugo circuit even though it was difficult to overtake, stating that it felt “pretty unique” from other tracks he’d driven on the calendar. On reaching the halfway point of the Super GT season, Parsons is feeling positive about the progress he’s made so far through his debut year in the ultra-competitive Japanese series. Round five of the Autobacs Super GT championship takes place at Fuji Raceway on August 5-6. “I'm very keen to get going at Sugo; I had an official series test there last month, so the circuit is one I am familiar with. It’s quite a small circuit and one that will be critical to get the strategy right on for pit stops,” explained the 22-year-old. Parsons, who drives the #26 Taisan SARD Audi R8 V10 in the GT 300 class, showed impressive speed and race-craft at the last race in Autopolis and is and is intent on continuing that positive progress. “The team and I are eager to make some inroads on the setup as there is always room to grow in our performance. Autopolis was a great indication of our potential as I gained ten places in the race, so we’re excited to keep pushing forward together,” said the 2014 AsiaCup Champion. Round 4 of the Autobacs Super GT series takes place at Sugo on 22-23 July. You can follow all the action live via the NISMO TV You Tube channel. Team Taisan SARD driver Jake Parsons comes away from the Autopolis circuit on a massive high today, following a “turning point” weekend in round three of the ultra-competitive Super GT championship. Starting the race from 25th, the young Australian had his best race event so far, this season, putting in an impressive display of speed, consistency and overtaking during his 40-lap stint in the GT300 class car. “I’m really happy with my performance today. I overtook a lot of cars in the race, and, together with my teammate, we had our best result of the year, finishing 14th. We made a big step forward with the car set-up this weekend, which is a very positive sign and means we can continue the progress into the next race,” said the 22-year-old afterwards. Rising star Parsons, who drives the #26 Audi R8 V10, took the opening stint in a Super GT race for the first time, describing it as a significant moment in his career. “It was pretty wild out there among the traffic but I did a good job, making up a lot of positions and having a lot of fun too!" Going in to the mid-season break, Parsons is feeling positive and confident after such a breakthrough event, making progress set-up wise with car, and experiencing tight battles from the start too. “I’m feeling comfortable having more experience through the various stages of the race now and I’m excited for what the rest of the year holds,” he explained. Round four of the Autobacs Super GT championship takes place on July 22-23 at Sugo. Team Taisan SARD driver Jake Parsons is in a buoyant and excited mood as the Autobacs Super GT series hits the track in Autopolis for the Kyushu 300km this weekend. Having overcome some challenging curve-balls in the opening rounds, Parsons has shown impressive pace and progress in his #26 Audi R8 V10 since making his debut in the ultra-competitive Japanese series. The young Australian, who now lives in Tokyo, has also been working hard with the team to improve the technical setup and develop new strategies moving forward into the race on Kyushu Island. “I believe the previous lessons we’ve learnt as a team in the first two rounds will pay off strongly in this event, and we can realistically expect our strongest result so far,” explained the 22-year-old. Round three of the Super GT series sees a highly-anticipated return to the Autopolis circuit, with last year’s event being cancelled following earthquake damage. The 19-turn, 4.673km/2.904mi track presents a real challenge, and is often ranked among the driver’s favourites. The Autobacs Super GT round three takes place at Autopolis, Oita Prefecture on May 20-21. To follow the action live tune in to NISMO TV on You Tube. Parsons, who drives the #26 Taisan SARD Audi R8, was very happy with his performance, showing good pace and consistency throughout his 40+ lap stint in the car. Running the hard compound tyres, the 22-year-old delivered strong times, comparable to the softer compounds other teams were using. The young Aussie, who now lives in Tokyo, has introduced a special series of autograph cards and fun merchandise giveaways, available to fans at each race. Race goers are encouraged to be first in line at the upcoming events to avoid missing out! Team Taisan SARD driver Jake Parsons is excited and fully primed for a positive event as Super GT roars back into action this week at Fuji International Speedway. Round two of the ultra-competitive Japanese championship takes place on May 3-4 at the challenging 16 turn, 4.563km (2.835mi) circuit.